Reeling from the death of his colleague at the hands of the Ripper, Will reaches out to his 'avid fan' to help him put an end to Hannibal once and for all. Poor Beverley. It seems that being mentioned in the books wasn't enough plot armour to survive an encounter with the Ripper after all as she is found in the observatory looking for all the world like she got on the wrong side of a particularly unpleasant double glazing salesman. Abel tells Will that the Ripper will not be caught, he will have to be killed so (Red Dragon klaxon alert) Will uses Lounds and Tattlecrime.com to contact his fan, the chap who killed the bailiff at Will's trial. 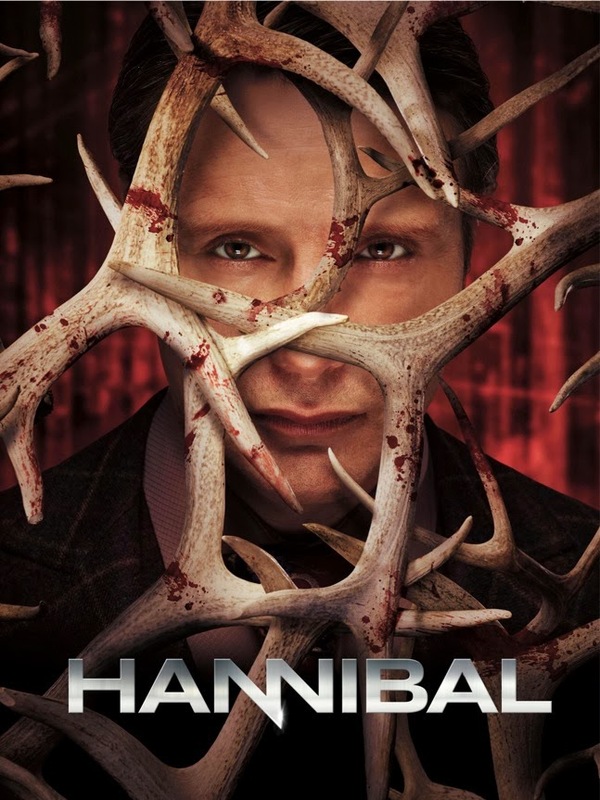 Luckily for Will this serial killer happens to work at the Baltimore State Hospital For The Criminally Insane so together they hatch a plan to dispose of Hannibal (which involves swimming pools and crucifixion, obviously). All this plot malarkey takes a back seat to this week's most significant event for Fannibals - yes it's Hannibal in swimming trunks! Before you get too excited ladies* it's not Speedos, but it's close enough. Luckily for our favourite carnivore Dr Gideon decides (in one of his most random decisions yet) to tell Alana Bloom about Will's plan, enabling her and Crawford to arrive just in the nick of time. Sorry Will, better luck next time. Incidentally Hannibal refers to Freddie Lounds as 'rude' for a second time this week. Two occasions of being rude to Hannibal? How on earth is she going to make it through to Red Dragon? 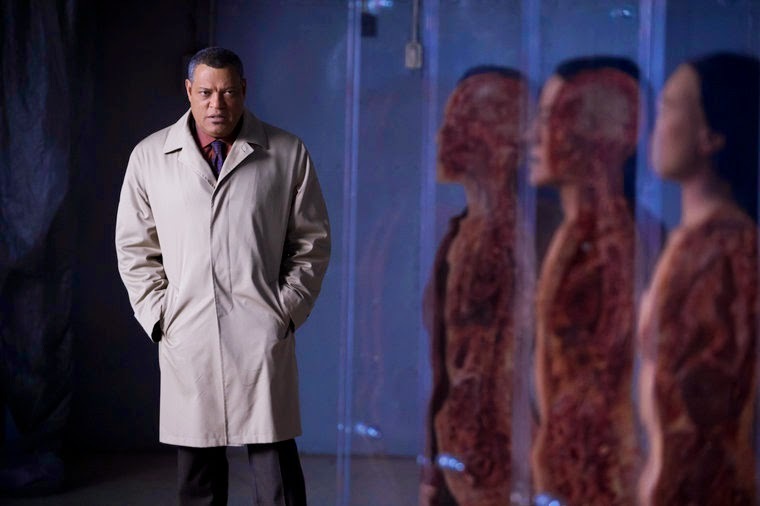 So another stunning episode of TV's best show ends with a semi-naked Hannibal collapsed in the arms of Crawford (lucky old Laurence Fishburne) all of which leaves us wondering just how much better this season can get? I am so looking forward to finding out.